I've got a lot of posting to catch up to. This was my first attempt at a photo for last year's Christmas card. 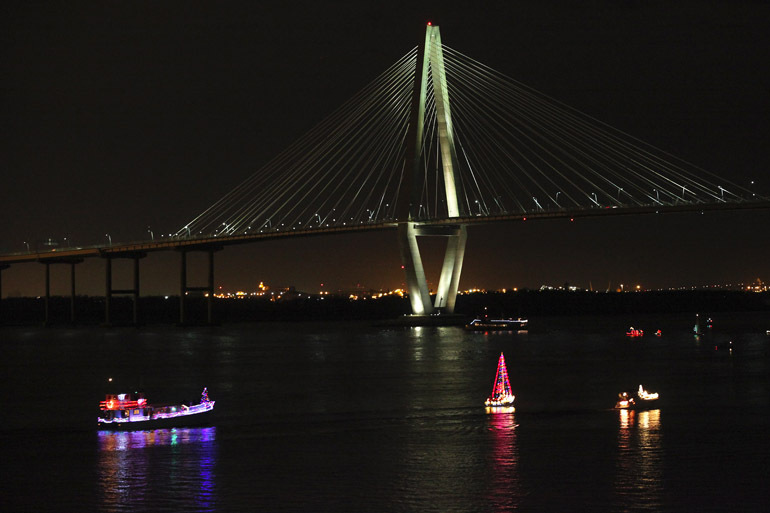 It was a boat parade on the Cooper River. I watched it from the deck of the USS Yorktown, the aircraft carrier that's now a museum in Mount Pleasant. 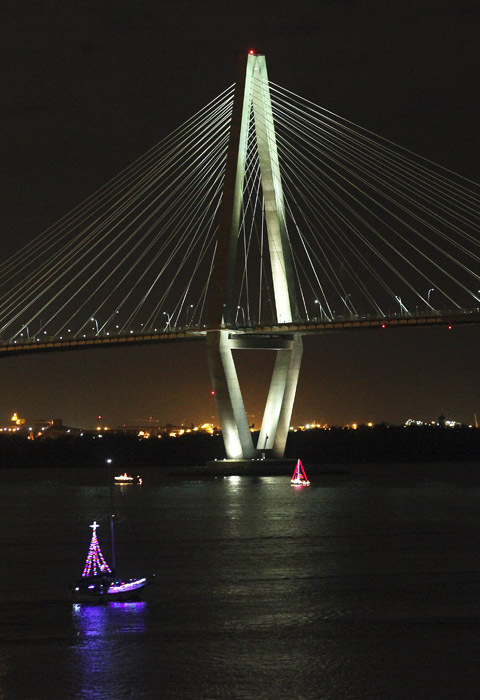 Long story short, I've never really seen a light parade on the water that I've been impressed with. This attempt at a Christmas card photo was a bust.